If you have been keeping track, we’ve covered a number of topics over the past month that we hope will help you work towards achieving cloud marketing excellence. We discussed emotional web design and how you can create a connection with customers through design. We also covered content SEO and how to best optimize your content to satisfy the likes of search engines. And we discussed performance SEO and how to optimize your website performance for SEO. Now, I will delve deeper into the world of content and how you can use organic content marketing to drive more leads to your funnel. I’ve seen a significant shift in the mindset of clients in regards to content and its value. A couple of years ago, I spent a lot of my time educating clients on the importance of good quality content and how it can be used to impact leads. It wasn’t too long ago that we relied heavily on traditional and paid advertising to bring us leads, but now we are seeing a shift from paid advertising to earned media. Earned media consists of content like blogs, eguides and white papers that are used to educate the customer. Like I mentioned in our blog, How a Customer Journey Funnel Qualifies Leads, 88% of consumers research before they buy, consulting an average of 10.4 sources. The trick is to make sure that the customer receives this content from you while they are in the buyer journey, so when it’s time for them to make a purchase, you are the company they select. Before I dig into the different types of content, let’s clarify what exactly organic content is. With terms floating around like paid search, organic search and organic content, it’s tough to keep it all straight. Essentially, organic content is the content that will be picked up by organic search results, and will appear on the search engine results pages because of its relevance to the search terms. Organic content marketing is important. A report by BrightEdge found that 51% of all website traffic comes from organic search and over 40% of revenue is captured by organic traffic. Marketing can influence 57% of the sale before the customer comes in contact with sales. Makiko and I were just at HostingCon in beautiful San Diego in July. Makiko was a presenter at the conference again this year and she did a presentation entitled Leads Leads Leads! Get more Leads! In the presentation she discussed the Zero Moment of Truth. 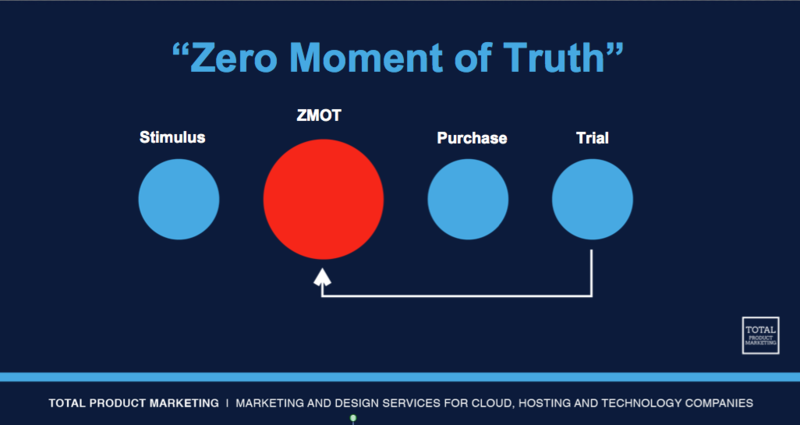 As she mentioned in the presentation, the “Zero Moment of Truth” is the time when a prospect recognizes a need or a pain and goes online to gather information regarding a potential solution. This is the critical moment that we as providers should be working towards. You want to show up in that initial search and you also want the content you present to shape the decision that potential customer will make about her purchase and about your company. The ZMOT can happen several times along a buyer’s journey, and so it is important that you create compelling content that will answer the questions that your potential buyer may have at this stage of the journey. But what is compelling organic content? I get asked a lot about what content works for drawing in Leads Leads Leads and although there isn’t a formula per se, there is certain content that works better for different strategies and for obtaining the best results. But first, it’s important to identify your content strategy and what you want the outcome of your content marketing to be. After you identify your strategy, you can then determine what content will work best to capture your leads – here are some organic content marketing ideas that we use at TPM. Blogs are probably the most common piece of content used and what comes to mind for most people when they think of organic content marketing. A blog is a regularly updated web page that is written in an informal or conversational style, and it is what you are currently reading. Nearly 40% of US companies use blogs for marketing purposes, and those that blog have 55% more website visitors. It’s effective and it’s easy. It’s simply an indexed page on your website. The more blogs your write, the more search engines will be cued to reference your site for new content. This gives you an opportunity to write about different topics that your audience will like. You can help educate in a fun and friendly way, that will help built trust with your audience. Blogs are great for building your reputation by giving your visitors valuable information so they’ll think of you when making a purchase. Search engines also like blogs. Using appropriate keywords will help drive traffic to your website through organic search. You can also drive traffic to your blog by sharing a link to your blog post on social media. By including a lead-generating call to action on your blog, you can convert traffic to leads. Blogs are simple and an effective tool for lead generation. An infographic is a visual image such as a chart or diagram used to represent information or data. Infographics are great because they tell a story in a visual way – this appeals to the masses, why? Because it is easier for readers to get more information in a small amount of time – people like this. Also, visuals are processed 60,000x faster in the brain than text. Infographics are shared more than other types of content. In a study by SlideShare, they analyzed more than 1,000 infographics and the results showed that infographics are liked 4x more than presentations, and 23x more than documents on SlideShare. The study also found that infographics are shared 2x more than presentations, and 3x more than documents on other social networks, such as LinkedIn, Twitter and Facebook. Publishers who use infographics grow in traffic an average of 12% more than those that don’t. Infographics are visually appealing and effective. Videos can take the form of a product review, a video blog, a customer testimonial or a video that marketing launches in hopes that it will become viral. Product reviews are a great way to showcase a product or service to potential customers. What better way to showcase your expertise than by presenting reviews of industry products and services? Video product reviews are a great opportunity for you to be seen as a leader in industry and viewers are 85% more likely to purchase a product after watching a product video. A video blog is a great way to connect with your audience and a video customer testimonial is a nice touch too. Viral marketing videos… well, I won’t touch this one. Everyone wants it, the secret is timing. It needs to be the right message, delivered at precisely the right time. Case in point – Dollar Shave Club. Who would have thought this would go viral? The video matters, but what is really important is how you post your video. Posting it on YouTube will get your video discovered by more people; however you should host the video on your site and provide links from YouTube to your site. This will drive traffic and improve SEO for your site. If you are including a video on your site, make sure that you include text or a transcript when possible to help the search engines find the keywords of what your video is about, so you get the relevant traffic to your site. Videos are a good tool for increasing your search engine rankings. Essentially eGuides are longer blogs. They are more structured and formal than blogs and go more in-depth for the reader. This is a really good place to provide a potential customer with a wealth of information that can help him with his buying dilemma. In your eguide, you define a problem and then offer a solution for the customer. eGuides are valuable tools for the buyer journey because if you get the buyer at that “Zero Moment of Truth,” eGuides can provide the buyer with very valuable information that can help shape the buyer’s decision. For example, in a UnitedLayer eguide, a problem is identified – CIO’s need to adequately provide resources necessary to handle the constant and rapid growth of their enterprises’ data and applications. 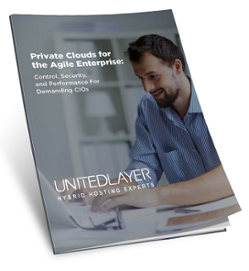 And a solution is given – a Hosted Private Cloud. When you create an eguide, not only are you providing potential customers with valuable information that they will find useful while in the funnel, but what I love about eGuides is that they are a great way to collect email addresses of potential customers that you can nurture into leads. Like in our example above, to view the content, the visitor will have to input their name and email address in order to download the eGuide. Visitors submit their information and get the content they wish to read, and you acquire their email addresses – win, win. This is a great way for companies to build their email subscriber list. Since David Letterman started his Top 10 List back in the day, lists have been a favorite of mine. They are short, sweet and if done right, fun. You see them all the time – Top 5, How to, 10 ways, here are two examples – 10 High Impact Magento Speed Optimization Steps or How The ITaaS Model Increases Business Agility. Lists work because they give you an opportunity to include long-tail keywords. If you aren’t familiar with long-tail keywords, they are three and four keyword phrases that are very specific to what service you are offering and what solution they are searching for. For example, if I am looking for information on how to improve engagement with customers and employees, I may search for “How to improve engagement with consumers and employees,” and I will find a link for an article on 5 Gamification Strategies for Customers and Employees. Now I have useful information on gamification strategies that will solve my engagement problem, and the provider has a potential customer. Using highly specific multi-word phrases will rank better with search engines than more generic single keyword phrases. For example, “How to improve engagement with consumers and employees” rather than “Improve engagement.” The key phrases are more specific, so visitors to your site are more qualified because you are providing content that matches the keywords phrases that they are searching for. The content on the page is relevant and useful to potential customers, and may even solve their buyer dilemma that they are trying to solve. 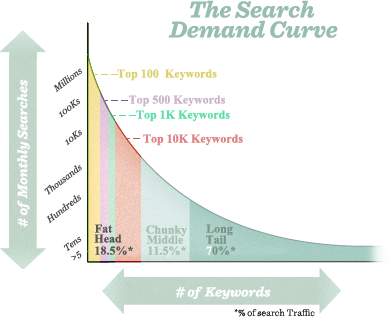 According to Moz, long-tail keywords make up for 70% of searches. Landing pages act as a conversion funnel where you direct all sources to – i.e. : Facebook, Twitter, email campaigns. Whether it is to download content or enter a promotion, a landing page should have an overview of the content the visitor will download as well as a sign up form. Call to actions i.e. : Free download, Learn how to, Try it today! Case studies are a great way for you to showcase your products and services to your customer base in a neutral light. Case studies can be short two-page documents in the form of a data sheet, or longer white papers that can extend several pages. The purpose is to show how you used your product and or service to help a client to achieve the results they were looking for – solve their problem. By showcasing to potential customers, how you solved another customer’s similar problem, you clearly demonstrate how you can solve their problems. It provides the reader with a good understanding of how you work, who your customers are and how you have helped them. They are a great tool for capturing conversions online, and also a good sales tool for your sales department to use. 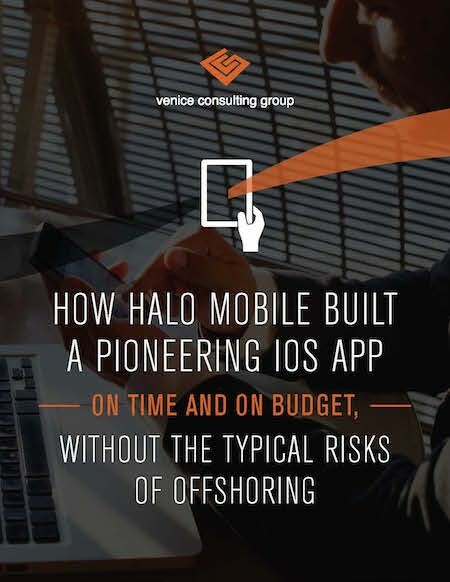 For example, Venice Consulting Group (VCG) created a case study for an app they developed for Halo Mobile. The case study showcases how VCG developed a high-quality app on a start-up budget and tight timeline. How did they do it? VCG assembled a hybrid nearshore team to meet all of HALO Mobile’s needs. So if I am a potential buyer looking to have an app developed on a budget, this case study would be beneficial for me to read as it can provide me with the information that I’m looking for to determine how to best solve my problem. If you have any questions about your next content marketing strategy or need help creating organic content that will help you get Leads Leads Leads, contact us, we’d love to chat. Contact us today to learn more about how Total Product Marketing can help.